← Ear Wax Can Damage Your Faith… Really? (Isaiah 53:5) But He was wounded for our transgressions, He was bruised for our iniquities; The chastisement for our peace was upon Him, And by His stripes we are healed. It is important to remember that although the word blood is not written in the above passage, it is what came forth from the torture of the cross. Thus far we have discovered 4 overwhelmingly awesome blessings we received by faith in Christ’s shed blood. They are as follows. This final article concerns the blessings we attain as God draws near to us through the blood of Christ. We will also investigate the blessings attained as we are able to live in God’s presence, because of the blood of Jesus. Let’s begin. In O.T. times the Hebrew high priest would apply the blood of a sacrificial animal upon the mercy seat of the Ark of the Covenant. This ministry would occur once per year and God in His Shekinah glory would descend over the mercy seat to judge His people’s sins. YHWH would not see their sin, as it was covered by the blood. This would allow the people to continue in relation to God. This necessary atoning act was a type to point to the Lamb of God. Jesus’ blood was the perfect atoning element, not only to bring the O.T. 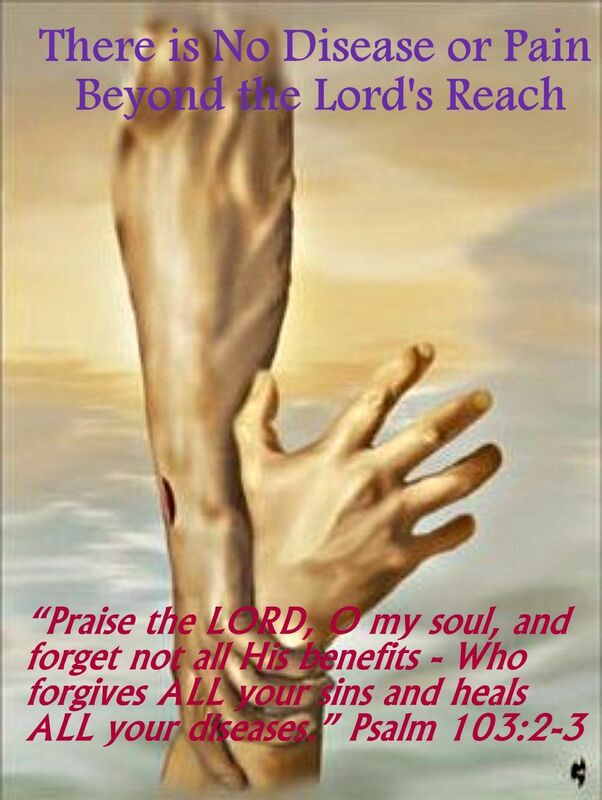 sacrifice to a close, but to wash away the sins (not cover) of all who receive Him by faith and repentance. Christ’s shed blood made possible God’s ultimate end: Him dwelling with us forever in a restored relationship. As we began our journey in Ephesians 1:7, where the blood paid for us to be bought out of our sin slavery, and pay the penalty incurred for our sin—and as His bloodshed made reparations, or war payment for damage done, making the way clear for peace with God—so having removed all barriers, that peace could be realized in His presence, where God Himself is our peace, our shalom (Ephesians 2:14). 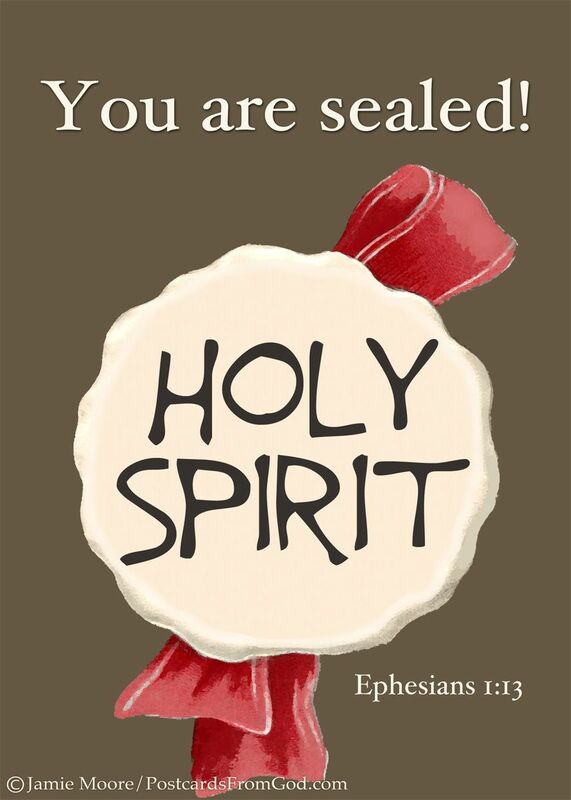 (Ephesians 1:13-14) In Him you also trusted, after you heard the word of truth, the gospel of your salvation; in whom also, having believed, you were sealed with the Holy Spirit of promise, who is the guarantee of our inheritance until the redemption of the purchased possession, to the praise of His glory. 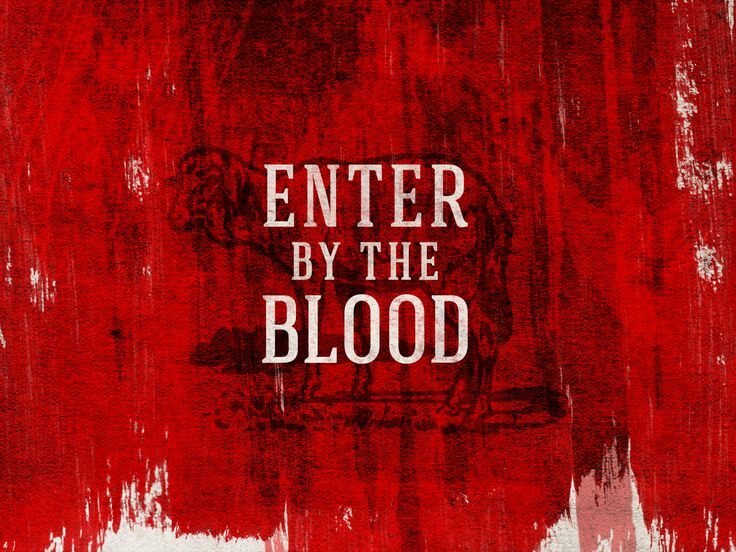 When we express faith in the fullness of Christ’s death and resurrection, the shed blood and all its power, opens an avenue into our life for God to draw near to us in His glorious presence. This is the state where Isaiah 7:14 has practical meaning in our lives, as Christ our Emmanuel or “God with us” resides with us forever. This takes place in the Person of the “Holy Spirit of promise”, who is the guarantee of this promise. Consider Jesus’ own words. (John 14:15-17) “If you love Me, keep My commandments. And I will pray the Father, and He will give you another Helper, that He may abide with you forever— the Spirit of truth, whom the world cannot receive, because it neither sees Him nor knows Him; but you know Him, for He dwells with you and will be in you. (John 14:23) Jesus answered and said to him, “If anyone loves Me, he will keep My word; and My Father will love him, and We will come to him and make Our home with him. This reality can lead to the greatest potential of our restored relationship to God; Christ dwelling in our hearts not as an invited guest but seated in full ruler-ship as King of our lives. His end is to own us, as His purchased possession, which is the fullness of our redemption. We see this in Ephesians 3:14-17. Although redeemed (purchased) with the blood, forgiven because of the blood and at peace with God through reparations made with His blood; Christ was not always allowed to sit in His rightful authority in our lives. It is therefore our responsibility to respond to God’s presence as He draws near, by submitting to His full intention for us. To draw near to Him. (Hebrews 10: 19-25) Therefore, brethren, having boldness to enter the Holiest by the blood of Jesus, by a new and living way which He consecrated for us, through the veil, that is, His flesh, and having a High Priest over the house of God, let us draw near with a true heart in full assurance of faith, having our hearts sprinkled from an evil conscience and our bodies washed with pure water. Let us hold fast the confession of our hope without wavering, for He who promised is faithful. And let us consider one another in order to stir up love and good works, not forsaking the assembling of ourselves together, as is the manner of some, but exhorting one another, and so much the more as you see the Day approaching. (James 4:7-10)Therefore submit to God. Resist the devil and he will flee from you. Draw near to God and He will draw near to you. Cleanse your hands, you sinners; and purify your hearts, you double-minded. Lament and mourn and weep! Let your laughter be turned to mourning and your joy to gloom. Humble yourselves in the sight of the Lord, and He will lift you up. BE HUMBLE… Remain in a true state of awareness concerning God and yourself—knowing we need His constant leading, empowerment, encouragement, love and yes, correction. Humility means we know and feel our dependence on God so much; we seek Him for what we need. SUBMIT… This means we obey His leading rather than resist. RESIST… This means we reject and deny the world, the flesh and the devil, attempting to get us to balk at obedience. CLEANSE… This means we clear our lives of the sin which easily entangles us and lay aside the burdens that wear us out in our resolve to obey the King of our heart. (I John 1:9). LIVE WITH SOBRIETY… This means we live with a sober idea of life, with regard to the times we live in (Ephesians 5:16). As awesome as it is to draw near to God as an individual child of God, the ultimate end of Hebrews 10:19-25 is to illustrate the blessing of drawing near as the body of Christ. The Let us statements “Let us” produce wonderful things when a collection of individuals who are submitting to God’s rule, draw near together, as reflected in (I John 1:7). Not only do we get the cleansing of the blood but greater faith, greater confidence in witness for Christ in word, and greater confidence to minister supernaturally to needs (Acts 2:4-37, 3:1-8). As we began this piece with Isaiah 53:5, we end our investigation into Blood Blessings, with “By His wounds we have been healed. Let us understand that God’s holy Presence changes people. One need only to look at Moses, who spent his life consistently in the presence of the Lord to understand the transformational power of God’s presence. (Deuteronomy 34:7) Moses was a hundred and twenty years old when he died, yet his eyes were not weak nor his strength gone. Of course we can take this to mean physical healing, but so much more, as I Thessalonians 5:23 declares “Now may the God of peace Himself sanctify you completely; and may your whole spirit, soul, and body be preserved blameless at the coming of our Lord Jesus Christ”. SPIRIT… At the moment we express faith in Christ shed blood and complete atonement, we are made alive in our Spirit, reconnected with God by the Holy Spirit. Christ’s blood was shed for the purpose of our living and abundant life, as God defines, not as we define. Jesus lived an abundant life, despite having only the clothes on His back, no home, no pay, no guarantee of provision for food. How? He knew by the promises of the word of God, that the Son had all He needed in His Father. What does that abundant life look like for us? Power to heal and bring restoration to any who comes in Jesus’ name. Grace and power to minister to the hurting. Power to rise out of a sinful life, be holy, defy the devil all through the power of Jesus’ blood. This entry was posted in hope for America, Isaiah 53:5, the blood of Jesus, The Blood of the Cross, the Christ Life, Uncategorized. Bookmark the permalink.